We'll go to one of the only spots left to photograph Tufted Puffins in the San Juan Islands. 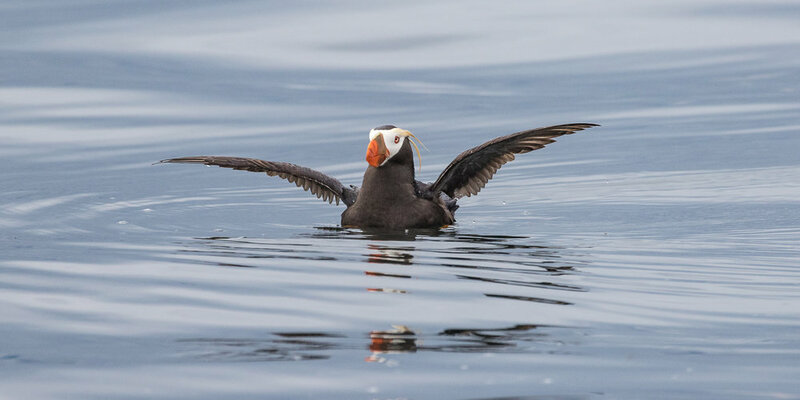 This two-day workshop is scheduled to take advantage of the summer weather we have in late July and timed for when the Tufted Puffins are feeding their chicks. 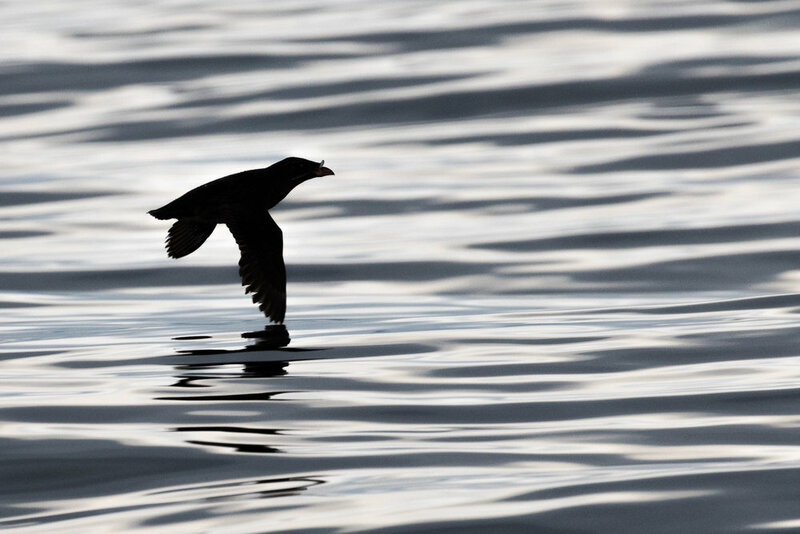 Tufted Puffins, Pigeon Guillemots, and Rhinoceros Auklets are the main targets. There are also other possibilities like; Great Blue Herons, and all three cormorant species (Brandt's, Pelagic and Double-crested), and a variety of gulls. We'll be in a chartered 30-foot boat that sits lower in the water than the other/larger sightseeing boats. This means you'll get better images on this workshop then if you go on a big boat. We’ll leave the dock early in the morning so we can have morning light on the birds. After the morning shooting session we’ll return to have lunch, then in the afternoon, there will be an image review/post processing session. Lodging and meals are not included; bring water and snacks since we’ll be out on the boat for 5 to 6 hours. Day 1, July 16th, 2019 arrive at hotel and 6:00 PM Orientation. Day 2 early morning to mid day photography session of sea birds, lunch and then an afternoon image review session. Day 3 July 18th, 2019 early morning photography session with the sea birds then lunch in Anacortes then departures. Day 2: Early morning photography session after a boat ride to the island, and an image review session during or just after lunch. Day 3: Early morning photography session, lunch then departures. Reserve your spot in the workshop with a $500 deposit. Lodging and meals, during the workshop, are not included in the workshop fee. This workshop has a morning shooting session and an image review and question ansd anwser session in teh afternoon of the first day, tehn a morning shooting session on teh second day.. After we receive your registration, we'll send you a detailed information packet about your workshop, including what to bring, more specific details on the workshop structure, hotel rendezvous information, etc. We recommend you purchase travel insurance and will provide you with contact information. Please check out the Terms & Conditions for workshop cancellation found in the footer section below.